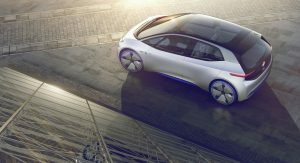 The Volkswagen Group will allegedly partner with a Korean company to construct a battery Gigafactory in Europe. 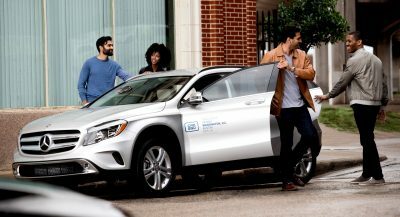 German publication Manager Magazin reports that the automaker is eyeing a partnership with Korea’s SK Innovation in a deal which would be worth billions of dollars. The publication emphasizes that negotiations are ongoing and a final decision has yet to be made. 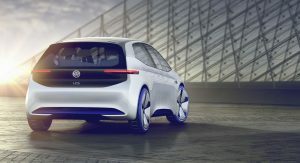 Constructing its own battery cells would allow Volkswagen to avoid supply bottlenecks that it could encounter with its rapid production and introduction of all-electric vehicles. By 2025, the car manufacturer wants to be selling roughly three million EVs annually. The company’s current battery cells are supplied by Korea’s LG Chem and Samsung. SK Innovation is the nation’s third-largest manufacturer of battery cells. 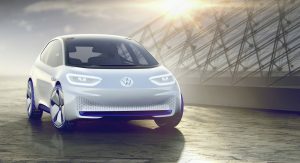 Numerous reports have surfaced throughout the year indicating that Volkswagen has been warming to the idea of building its own batteries. 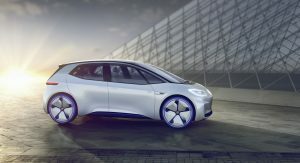 In August, VW chief executive Herbert Diess admitted that the company shouldn’t make itself dependent on Asian battery manufacturers in the long term. If the German group does decide to build its own batteries, it could jump immediately to the production of advanced solid-state batteries, rather than the lithium-ion ones currently used across the industry. Diess says that advances in ceramic separators have raised the viability of mass production of solid-state cells and admitted that Germany was one of the possible locations for a European Gigafactory. 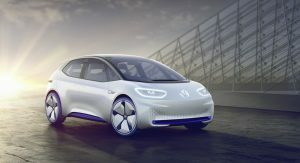 VW’s first all-new electric vehicle will be the I.D. hatchback, allegedly dubbed Neo. 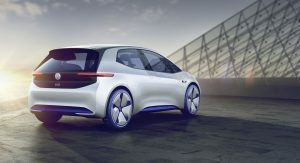 The vehicle will be offered with a choice of three battery sizes, offering ranges between 205 miles (330 km) and 373 miles (600 km).